There is so much information on the Internet it is like drinking from a fire hydrant. How do you find what you need? There are so many tools available that how do you know which ones are appropriate to use with your students? describe Web 2.0 tools using examples that provide background information. demonstrate different Web 2.0 tools that are appropriate for use in the classroom. invite participants to pair and share what tools they use with their students using a Web 2.0 tools. ask participants to provide feedback using Web 2.0 tools included here. 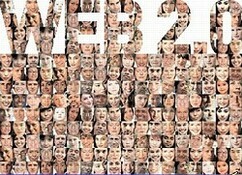 how is the Web 2.0 tool being used in the classroom? does the Web 2.0 impact how students learn? how might you use the Web 2.0 in your teaching?